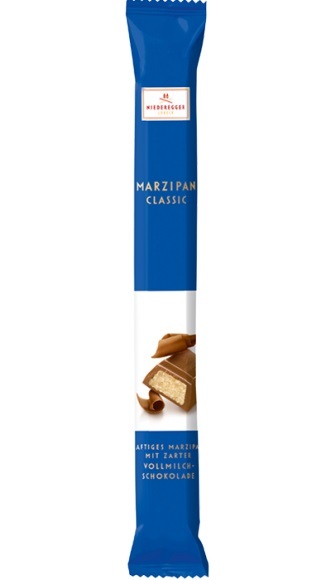 Niederegger Marzipan Milk Chocolate Sticks 1.4oz / 40 grams. Produced in Luebeck/ Germany since 1806, the best quality marzipan, no preservatives. One of the most delicious marzipan candies you have ever tasted.